We provide you with absolute top tailor-made cosplay. Our made to measure cosplay blends expert tailoring with the distinct needs of the individual. We offer only the best in fabrics and details to make the cosplay that is one-of-a-kind. Working hard on its appearance, quality, and each piece is executed to the highest standards of craftsmanship with uncompromising attention to detail. It is not only the costume but the dream that we help you to make it happen. Our custom costumes are made by the skilled designer team, ZCSC Studio. 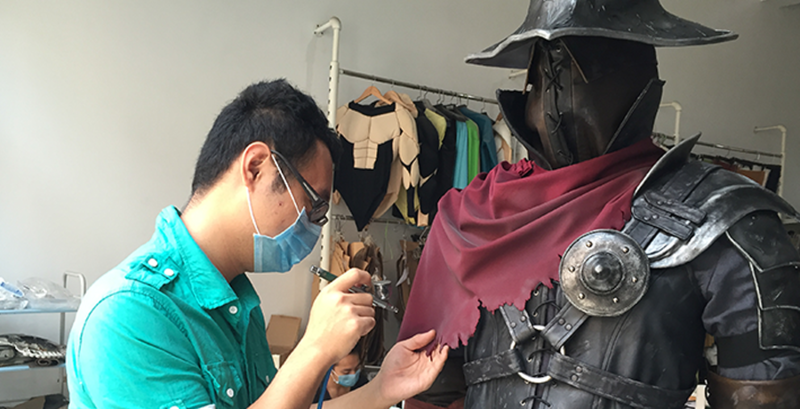 ZCSC Studio is the top of the renowned tailoring expertise, and doing custom cosplay for 6 years, made hundreds of deluxe costumes. You will find a variety of popular costumes in this category. We accept made to measure orders including the costume from movies, TVs, games, anime, and even some special occasions. A professional designer team, expert tailors, the pleasant workplace, and efficient management ensure that there will be an individually customized service at every stage and cater for your needs perfectly. All orders are made to measure to your specific requirements and cater for your changes or advice on your needs for specific occasions. Details will be discussed in the email while tailoring. The weight of the costume varies from person to person thus shipping fee will be collected when we finish your order. Costume with armor is about 5kg to 10kg, and without armor is under 5kg. No cancellation of made-to-measure orders due to its high cost. The amount of the cancelled made-to-measure order that we will not refund.